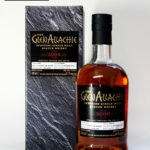 This entry was posted in Blog, Whisky Tastings and Events News on 27 July 2012 by . 13 Albert Place, Dufftown, AB55 4AY. St James Lodge is the local hall belonging to the Free Masons. The Whisky Shop Dufftown hires it out for festivals and turns it into a complete festival venue. The main hall is used for tastings and music events while the side room is used as a bar and cafe to provide refreshments during the festival. From The Whisky Shop Dufftown walk down Balvenie Street. Turn right at the Post Office on to Albert Place. Walk for 75m. St James Hall is on the right.